2017 was especially hectic for cybercrime, especially when it comes to malware and its offshoots. The increased number of attacks and, above all, the professionalization of the techniques used by cybercriminals has been at the root of malware’s exponential proliferation. In 2017 alone (according to data collected up to September 20), PandaLabs registered 15,107,232 different malware files that we had never seen before. But the total number of new malware is much higher — up to 285,000 new malware samples every day. 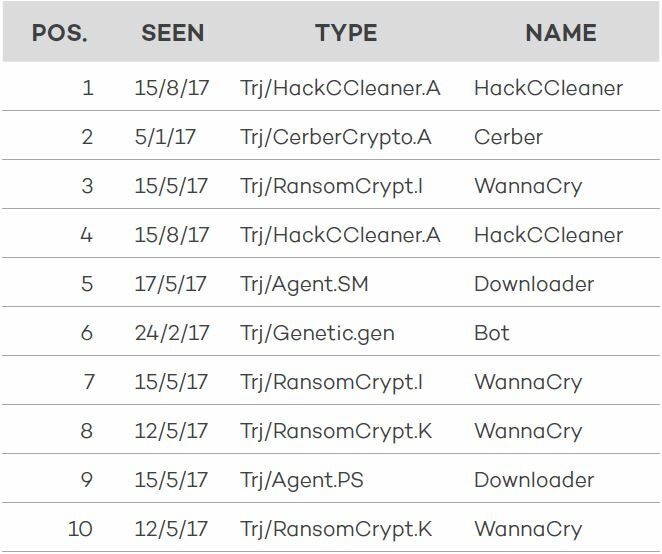 It makes perfect sense that the top 10 of malware files in our cloud includes names like WannaCry, the ransomware that caused havoc in business networks around the world, and a version of CCleaner, installed by more than two million users. But in addition to the trends that have been making headlines everywhere, what conclusions can we draw about the state of malware in 2017? We discuss the essentials in PandaLabs’ Annual Report. Upon reviewing the figures, we see that of the 15,107,232 files registered, 99.10% have been seen only once. That is, 14,972,010 files. We have only seen 989 malware files on more than 1,000 computers, 0.01%. This corroborates what we already knew: namely, that aside from a few exceptions — such as the abovementioned WannaCry or HackCCleaner — most malware changes every time it infects, so each copy has a very limited distribution. This year’s data makes it clear that although there are many more types of malware, each of them infects only a few devices individually. By attacking the minimum number of possible devices, each specimen reduces the risk of being detected and fulfils its purpose: to go unnoticed and ensure the attack’s success. In any case, the total number of new malware samples (15 million) is not so relevant when it comes to calculating risk. What really affects us is the frequency with which we can individually confront the malware itself. To evaluate this risk, PandaLabs measured only those malware infection attempts that were not detected by signatures or by heuristics. Think before you click: do not access links sent to you by strangers. Avoid downloading applications from unreliable sources. Do not wait until tomorrow — keep up with system updates. Use strong passwords to protect your identity. Choose an advanced cybersecurity platform. 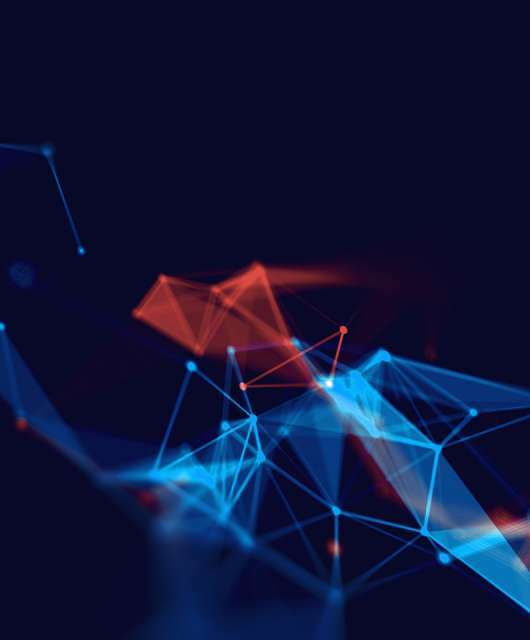 Our protection technologies improve and are updated as the amount of malware grows, which is why we are able to detect the threats that other solutions cannot. Panda Adaptive Defense is keeping up with threats and offers the market the services and tools needed to face whatever awaits in 2018. We’re ready to take on the new year! Malware is spreading day by day due to misusing the computer. One must know the basic security measurements of the computer so that your computer remains safe.